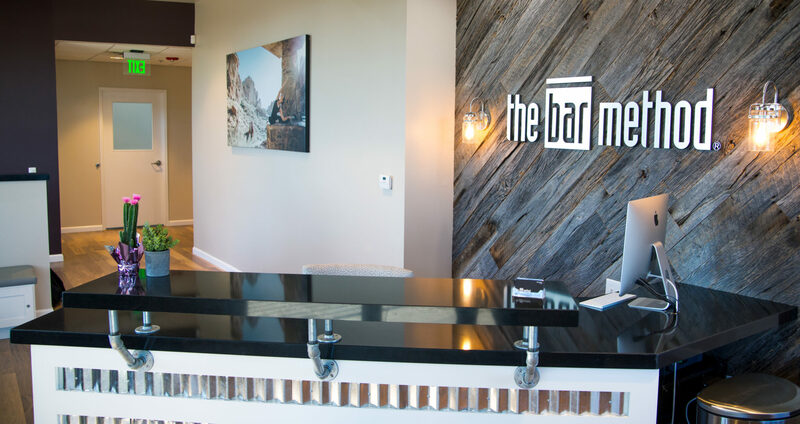 The Bar Method Phoenix - Arcadia is a boutique fitness studio offering barre classes for students of all levels. The signature method uses your own body weight, the ballet barre and a few props to create a transformative workout that results in long, lean sculpted muscles. Not only does it reshape your entire body, but it allows you to channel your inner strength and leave class feeling strong, confident and poised. Highly-trained instructors customize the exercises to ensure they are safe and effective for any age and every body, including modifications for pregnant women and students with injuries. Our staff and community are here to support you from the moment you walk through the door. 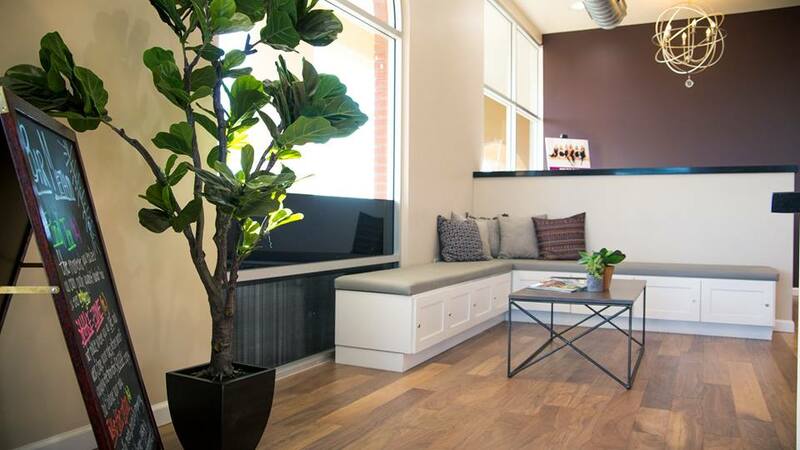 Arizona’s first Bar Method studio is located in Phoenix’s Arcadia Towne Center at 4730 East Indian School Road, Suite 207A. The beautiful 4,150 sq. foot facility opened in December 2016, and is the first studio for owner Elissa Scannell. 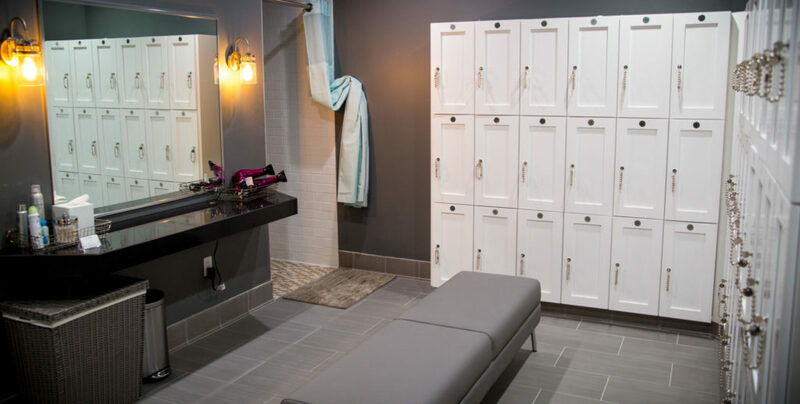 In addition to a fully stocked locker room with private showers, The Bar Method Phoenix-Arcadia has a kids’ room with childcare available during select classes. Elissa Scannell started her Bar Method journey as a client of the Washington, DC studio in 2013. Seeking a way to get back in shape after years working in politics and sitting in front of a computer, she was instantly hooked. She began teaching at the DC studio in 2014. A year later, when she decided it was time to rejoin her family in Arizona, she knew she had to bring The Bar Method with her. She loves helping people find the grace and strength she found in herself through The Bar Method. Elissa lives in Phoenix with her husband, who is also an instructor, and their two dogs, Lucy and Skylar. We recommend making a reservation online to guarantee a spot in class. Reservations may be made two weeks in advance. You may also call the studio to make a reservation but we do not accept reservations left on our voicemail or sent via email. Classes fill up quickly, but spaces will open up as clients reschedule. If you’d like to attend a class that is full, please add your name to the waitlist. When other clients cancel, you will be notified via email if you are put into the class. If you have opted-out of our email list, you will not receive these emails. You can also sign up for text message notifications in your Mindbody account preferences. You are responsible for your reservation if you are put into the class from the waitlist. If you do not cancel your class and do not attend, our standard cancellation policy will apply. You could be added to the class up to 2 hours prior to class. If you no longer want to be put in the class, please cancel your waitlist spot so that someone else can take the spot. We have clients that can get to the studio with very short notice. If this is not the case for you, please carefully manage your waitlisted reservations. Note: If you are already enrolled in a class, our reservation system will NOT add you to another class. If you were on multiple waitlists for one day, you may be deleted from the other waitlists since the system will not put you into two classes on one day. To view your waitlisted reservations, check your waitlist status, or cancel a waitlisted spot – go to your Bar Method account and click on MY INFO and then MY SCHEDULE. If you have any waitlisted reservations, there will be a link to the WAITLIST in the top right hand corner of your schedule. If the link is not there, you are not on any waitlists. Classes that appear in MY SCHEDULE are reserved classes. This will include classes where you got in off of the waitlist. If the class says “Waitlist-Unconfirmed”, you are IN the class. You may also call the studio to check your status. You must cancel prior to two hours before the start of class to avoid a late fee. If you are a Club Bar Member, or use another unlimited package, you will be charged $10 if you cancel within two hours before class and $20 if you are a no-show. If you use a class package, you will lose one class. If you are added to class from the waitlist and are not able to attend, you must cancel in accordance with the standard cancellation policy to avoid penalty. You may cancel online or by calling the studio. First-time students should arrive 10 minutes prior to the beginning of class. First-time students may not enter a class after it has started. Returning students may enter up to 10 minutes after class has started. The cutoff for returning students to enter a Bar Express class is 5 minutes. Exercise pants to the knee or below, tops that cover the midriff, and socks that cover the entire foot are required. Students may bring their own socks from home or purchase Bar Method socks with sticky grips at the studio. Water is the only beverage permitted in the exercise studios. Please do not bring colored liquids into the studios. Please do not bring glass or uncapped water into the exercise studios. Capped water bottles are allowed. Cell phones are not permitted in the exercise studios. Gum, candy, and food are not permitted in the exercise studios. Please put socks on before entering the studios. First-time students who are pregnant must schedule a time to meet with an instructor before their first class (this can occur immediately before class; please arrive 10-15 minutes early). We will be happy to work with you and offer you any necessary modifications. Childcare is available only at specific class times throughout the week. Please check the schedule and register for childcare ahead of time. Space is limited and is on a first come, first served basis. You can make reservations for childcare either online, by phone, or in person up to one week in advance. When reserving by phone, please indicate your name, the time of the class you plan to attend, and the name and age of your child. Important: if there are no online registrations for childcare 2 hours prior, kids’ club will not be offered at that time.